An impression of the Graney Class submarine. The submarine is fitted with eight 25.6in torpedo tubes for VA-111 Shkval rocket torpedoes. The Graney Class submarine is armed with P-800 Oniks supersonic anti-ship missiles. Yasen / Graney Class submarines are being built by Russia’s Sevmash shipyard for the Russian Navy. The submarines are being developed as part of Project 885 Yasen and are preceded by the Akula Class. "The Yasen / Graney Class submarines are being built by Russia’s Sevmash shipyard for the Russian Navy." The keel of the first submarine of the class, Severodvinsk (K-329), was laid down in December 2003. Construction was delayed due to a lack of funds. The Severodvinsk was launched in June 2010 for commissioning in 2012. The submarine completed its first sea trials in October 2011. The second submarine, Kazan, was laid down in July 2009. It is expected to be launched during 2013-14 for commissioning before 2015. The Graney Class will replace the Akula Class and Oscar Class submarines. The submarines can be deployed in anti-submarine warfare, anti-surface warfare, surveillance operations and special missions. In November 2011, the Russian Government signed a contract with Sevmash shipyard for the construction of five Yasen Class submarines. The submarine’s hull is built with low magnetic steel to reduce its magnetic signature. The submarine is smaller than the Akula Class vessels but possesses more fire power. It is the first Russian submarine to be fitted with spherical sonar known as Irtysh-Amfora. The torpedo tubes have been slanted due to the large size of the spherical sonar. The design houses torpedo-launching systems behind the central station compartment. The submarine can accommodate 50 crew members. In comparison, the US Navy Virginia Class attack submarine has 134 crew members. The vessel has an overall length of 111m, a beam of 12m and a draft of 8.4m. The submarine can launch long-range cruise missiles with nuclear warheads against submarines, surface warships and land-based targets. The submarine has eight vertical launching system tubes for cruise missiles. "The Yasen / Graney Class submarine is fitted with eight 25.6in torpedo tubes." The class is armed with 3M51 Alfa submarine-launched cruise missiles (SLCM), P-800 Oniks or the SS-N-21 Granat / Sampson SLCM. The 3M51 Alfa engages targets within the range of 300 to 800km and can carry a nuclear warhead. The P-800 Oniks is a long-range supersonic anti-ship missile fired against surface ships and submarines. The missile uses low-low and high-low flight patterns for targets within 120km to 300km. It has a length of 8.9m and a diameter of 700mm. The maximum speed of the missile is Mach 3. The submarine is fitted with eight 25.6in torpedo tubes, mines and missiles. The tubes can launch VA-111 Shkval rocket torpedoes, SAET-60M, Type 65-76, Type 65K torpedoes and RPK-7/SS-N-16 Veter / Stallion anti-submarine rockets. 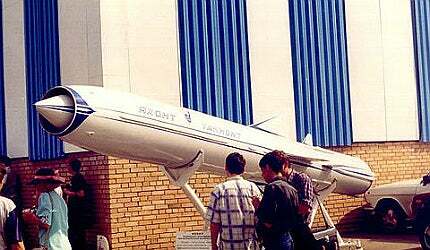 The VA-111 Shkval torpedo is 8.2m long and has a diameter of 533mm. It weighs 2,700kg and is capable of carrying a 210kg warhead. The torpedo has a speed of 200kts and can hit targets from 7,000m to 13,000m. A total of 24 torpedoes, missiles or mines are carried by the tubes. The submarine’s electronic countermeasures include a Rim Hat radar intercept receiver, a Snoop Pair surface search radar and a Myedvyeditsa-971 Radar. The submarine is equipped with Irtysh / Amfora integrated sonar suite. The system consists of a MGK-500 Shark Gill low-frequency passive / active search and attack spherical bow array, a Mouse Roar very low-frequency flank array and a Skat 3 towed array. The suite was developed by the Morphyspribor Central Research Institute. The submarine is powered with a KPM type pressurised water reactor, steam turbine, a shaft and a propeller. The reactor is rated at 200MW. The propulsion system provides a maximum submerged speed of 35kt and a surface speed of 20kt.